Okay, lads brace yourselves! I would never have imagined to run this kind of contest, but here we go. All kinds of surprises can happen, including Microsoft delivering a top-notch, first-class browser. In-cubic whipping and salary cuts seemed to have worked. Anyhow, a few days ago, we had long, extensive and exciting previews of Firefox 4 beta coming first, followed by Internet Explorer 9 beta a day later. Both products show excellent promise. Firefox 4 is the continuation of a long line of great browsers, getting better while retaining the old spirit. Internet Explorer 9 is a revolution, crushing its predecessors to shameful dust. And it's the first serious competitor by Microsoft in the modern web arena. Let's compare them, shall we? I could have done an across-the-board comparison, with Chrome, Opera and maybe even Safari thrown in. And I may yet do that one day, although, in general, I won't use Opera because it gave me a gyp some time ago, Chrome feels like a toy but I do use it occasionally, and I don't feel classy enough for Safari. One day, maybe. So, Firefox 4 and Internet Explorer 9 it is. No fancy numbers, no geeky and pointless benchmarks. Just pure usability, tested, head-to-head. I'll try to be as objective as I can be, although I am a geek, a Linux geek, no less, a big fan of open-source and free, so if you think there's bias, there probably is. Let's compare the platforms and operating systems that can use the browsers. Firefox is a well-known open-source horse, so it will run on just about anything, including Linux, BSD, Solaris, Windows, Mac, and whatnot. It comes in all kinds of colors and flavors and will even work in a portable mode. Internet Explorer 9 is only meant for Windows 7 and possibly Vista SP1, so even Windows XP users are left out. No portability mode, deep integration into the system. Firefox 4 installs quickly and simply. It can live alongside existing installations on Windows, reusing the profile sans any incompatible extensions or themes. On Linux, it will runs from its own extracted folder, leaving the system untouched. On the other hand, Internet Explorer 9 goes through a relatively long installation, pulling updates from Microsoft servers if necessary, followed by a reboot. Takes a long time and it's far more complex. I'll go with Windows looks, pristine and untouched. For Firefox 4, this means no file menu and tabs on top. 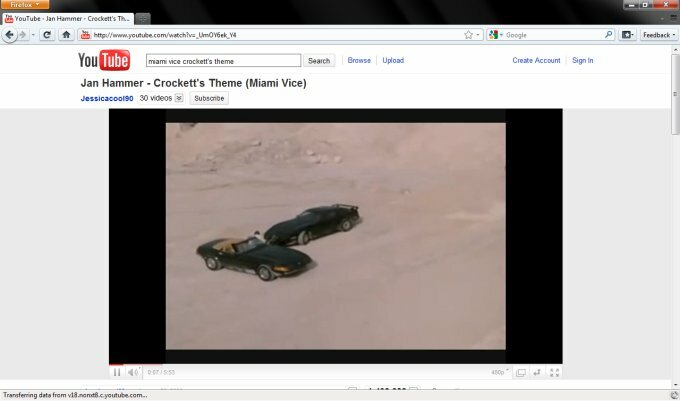 For Internet Explorer, this is a very new and unique look with the address bar and tabs side-by-side. This leaves less room for tabs, but it looks different from everybody else. Both browsers offer a simple, clean, airy interface. Firefox has the orange button with all the available functions in the top left corner, which is the standard placement. 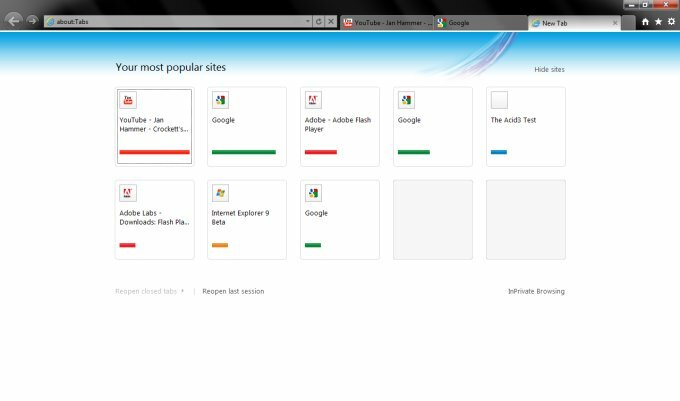 Internet Explorer 9 goes for top right corner, more like Chrome. 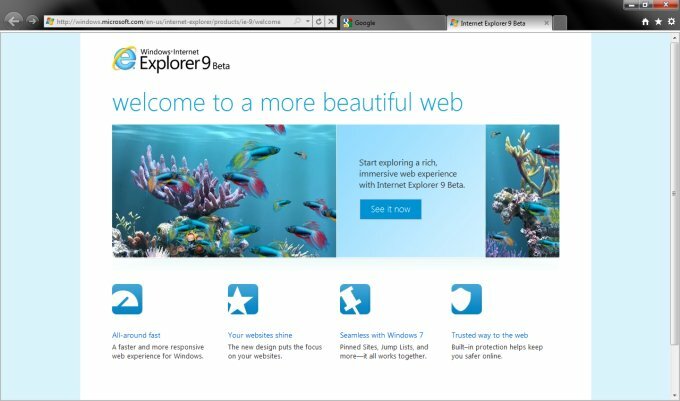 Internet Explorer 9 is simpler, but less intuitive. 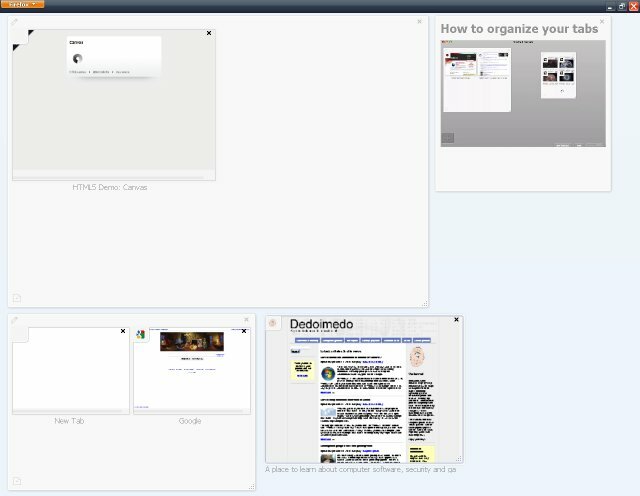 In Firefox, tabs on top feature is annoying for me, but you get a bigger usable screen area and more tabs can be opened without scrunching them. Overall, go with whatever your taste or mood dictates. Both browsers feel rather quick. No numbers, but I do feel Firefox wins by a small margin. Now, considering how huge an improvement Internet Explorer 9 has made over its leprous ancestors, Internet Explorer deserves a major five-star win in this category. However, we're not comparing Internet Explorer to Internet Explorer, we're comparing Internet Explorer to Mozilla flagship. Firefox has a better animated interface, so you can feel things happening. Internet Explorer is more static, so if a page load lingers, you don't know why and have no indication what's happening. Firefox is more like Chrome in this regard. Tab opening is also a tiny bit quicker, or at least, feels quicker due to clever transition effects used. Launching both browsers takes a blink. Overall speed is good and true for both. The average user would probably not be able to discern any difference. Internet Explorer probably benefits from the system integration and higher code optimization, but this has yet to be seen, with the typical user and the typical abuse of system resources. Loading the common web pages takes very little time in both cases. 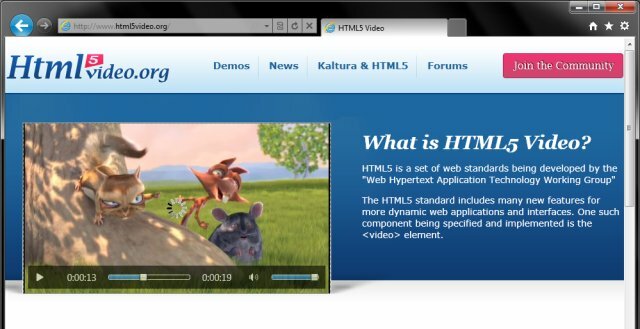 HTML5 usage was also good in both cases, although Firefox has more elegant controls and better display of elements. In both cases, no stuttering, no CPU load. Similarly, Flash played fine in both cases. Finally, I did not do any fancy benchmarking and don't see a need. Anyhow, we'll talk about this in the future. I'll show you why the actual numbers mean little or next to nothing. Speed benchmarks sound good, but it's a different kind of speed from what the user needs or thinks. Be patient, it shall all be revealed, in good time. Web performance is directly related to this item. Rather than torture your CPU with rendering web elements, you can offload some of the burden to your graphic card. 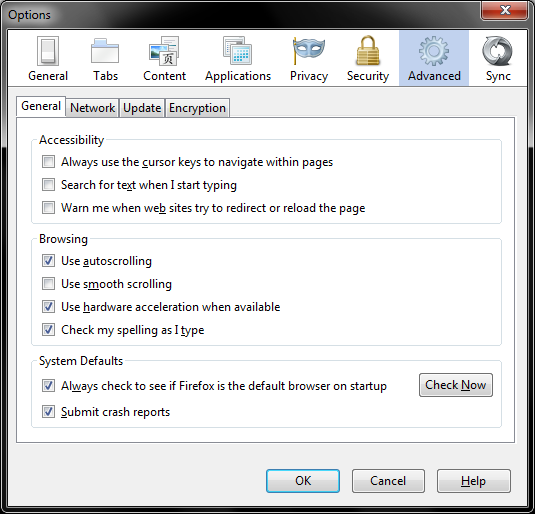 Firefox 4 offers the functionality on all Windows platforms, all DirectX releases. Microsoft restricts the functionality to only DirectX 11 on its latest operating systems, practically leaving more than half the market with no choice. In fact, they do have a choice: Firefox. In this regard, Internet Explorer 9 lags seriously behind Firefox. 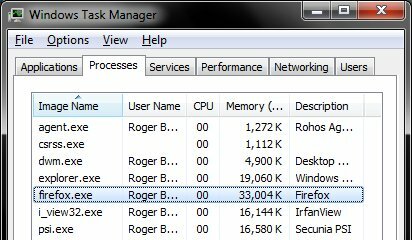 Using Windows task manager as the sole arbiter, it seems that Internet Explorer eats less memory than Firefox. It might be a little tricky to calculate the exact usage, because Internet Explorer is integrated into the system and might be sharing resources with the Windows Explorer, but even if the two are combined, Internet Explorer 9 manages about the same as Firefox 4. Both use little, around 35MB tops. 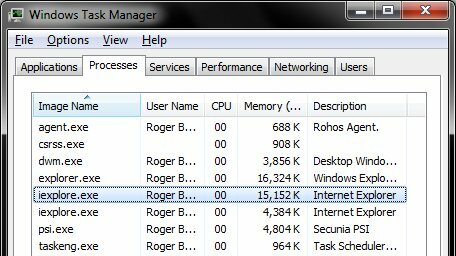 What happens if you load 30-40 tabs or have an inferior anti-virus molesting your system? Well, I can't say, but the initial tests shows that Internet Explorer is better optimized for Windows. Firefox usually feels more at home in Linux. Back to browsing experience. Now, the title can be a bit hard to swallow for the common user, but what it means: how well the browser displays pages. Are there going to be any errors, any inconsistencies with page elements and functionality? Will you be able to open your bank site and not suffer from seizure? Firefox 4 scores 97/100 in the Acid3 test. 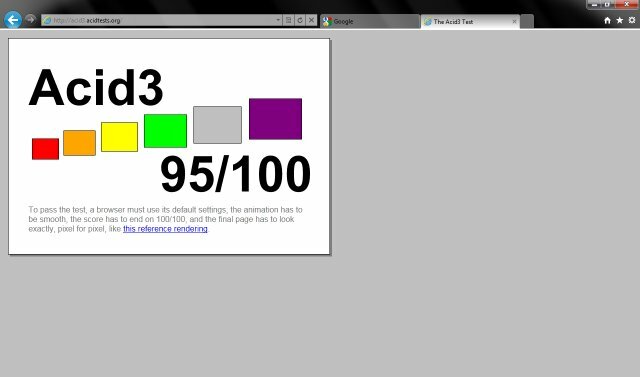 Internet Explorer 9 scores 95/100. Not bad, but not perfect, with some of the competition doing even better. But this means that overall, your browsing experience will be great. For Internet Explorer, this is a revolution, after the paltry 20/100 that Internet Explorer 8 managed in the test. With Microsoft finally getting serious about Web standard, we're likely to see a major increase in compliant HTML coding and a big drop in IE-only hacks, which should make the Internet a happier place, if not more intelligent. Here, we can refer to HTML5 again. Both browser support HTML5 fairly well. Firefox has had the support for quite some time. Internet Explorer is a new player, but it handles the stress well. Both browsers introduce new things. Internet Explorer 9 has the thumbnail preview, like Chrome and Opera, but it actually does a much better job than the other two. Firefox 4 introduces tab grouping, which seems like a nice anti-clutter option. Overall, Firefox 4 tab management is more refined and advanced, but Internet Explorer is catching up really fast. A major improvement over older versions. 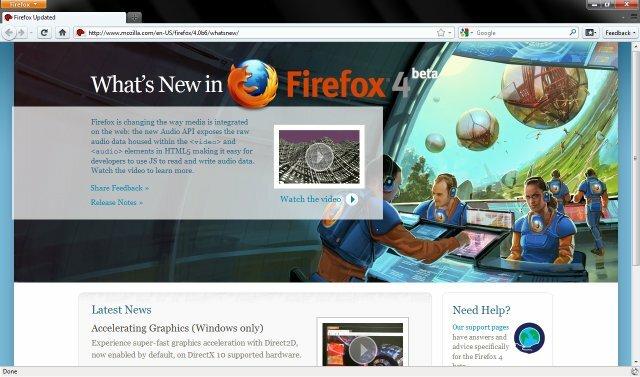 Firefox is the undisputed king when it comes to browser extensions and will probably remain so for a long time. It has an absolutely massive repository of themes and extensions available, for just about anything you can think of. The Add-ons manager has been refined further in version 4, so it's easier to browse and use. 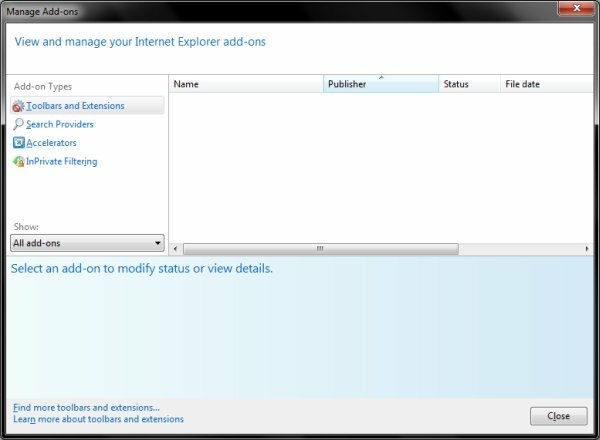 Internet Explorer 9 does offer some add-ons management, but it feels kind of lonely. Plus, I have no idea where to look for useful add-ons, what they might be and if they cost any money to use. 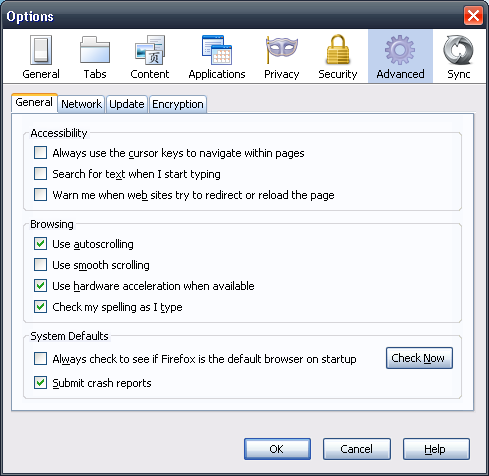 Firefox 4 uses the awesome bar to optimize your searches. 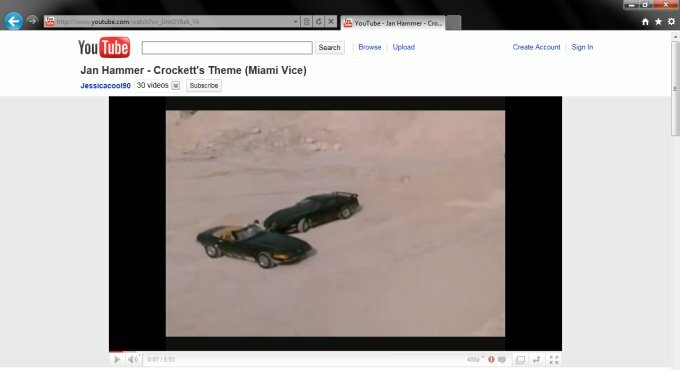 Internet Explorer 9 uses a suggestion feature similar to Chrome inline-search. You can choose Google or Bing as your engines or add new ones. Overall, the Suggestions seems like a more refined option. This is a very tricky category, but it tells us how much the browser has improved since its last incarnation. Here, Internet Explorer is a clear winner. It has practically nothing in common with its predecessors, whereas Firefox 4 is a logical next step in the development cycle. Internet Explorer 9 gains looks, usability, speed, and everything else over its older brothers, becoming a genuinely good product. It's maggot to butterfly in a second. I did not test security or privacy, because it's all about the user. Let's see ... Well, we have a winner. It's Firefox 4. You are probably not surprised, but I did try to be objective as much as I could. Now, most of the wins are only cosmetic or by a small margin. There are a few big ones, like availability, installation, add-ons management, and hardware acceleration. Still, Internet Explorer 9 is not a product to be slighted or ignored. It's very well done and will cater to common users superbly. Overall, Firefox is a smarter, more refined choice. But Internet Explorer is not far behind. Considering the huge leap it has made over version 9, Internet Explorer 10 could be a real trouble for the other forest creatures. In a head-on comparison, Firefox 4 wins over its Microsoft arch-enemy. But that does not mean Internet Explorer 9 is bad. Far from it. Furthermore, the fact the browser scene has another new player, a good one with big teeth and a decent punch, should make you really excited. As the end user, you will benefit from even more attention and better and cheaper products. This is what fierce competition is all about. You. 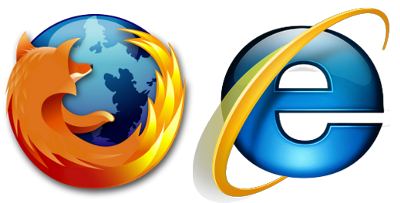 Firefox 4 and Internet Explorer 9 are going to be great browsers once released. 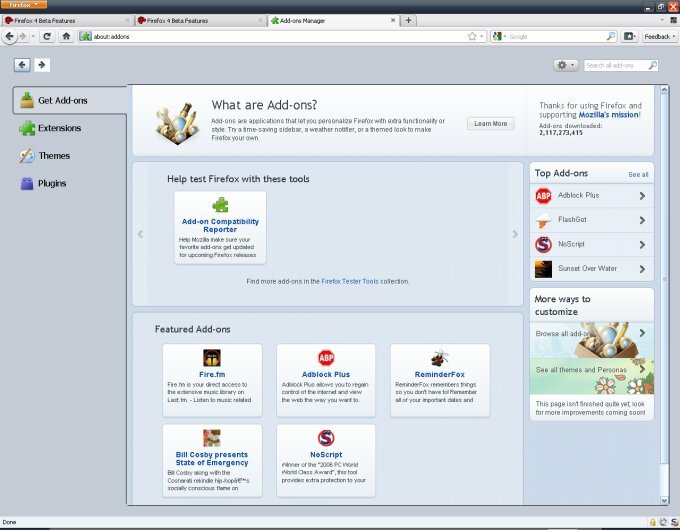 If you're a Firefox user, no need to abandon your favorite product. It's still the good ole stuff that made the difference and broke the monopoly. If you're an Internet Explorer user, now you truly have a good browser, which you can use and be proud of. I hope you enjoyed the article. If not, feel free to point out where I might be wrong.